…or train them like they used to. I, for one, am quite happy that they don’t make them like they used to. I have a hard enough time finding a parking place for the truck, much less a 1771 Fardier à Vapeur. As for central heating, you’d have to hire me full time had we not progressed beyond the hypocaustum. Technological change is good. Pedagogical change, on the other hand, has not been good – especially in the trades. Five year apprenticeships? Not even close. I got just two weeks of riding around with an experienced repairman before they handed me the keys to a truck and told me to go fix furnaces. I completed trade school before that, so I did better than most. Even so, I still felt lost at times. That was over twenty years ago. “Lost” doesn’t begin to describe most repairmen today. Not only are real apprenticeships a thing of the past, you can’t even assume a repairman has been to trade school. Many, if not most, repairmen in this profession attempt to learn this highly technical trade through trial and error one job at a time. Can you imagine an airline hiring an aircraft mechanic who’s had no schooling? Yet the unimaginable in aviation is commonplace in residential heating and air conditioning. The homeowner who owns the very old furnace pictured below need not imagine. His furnace’s pilot kept going out. Why? You need only to ask Ask. 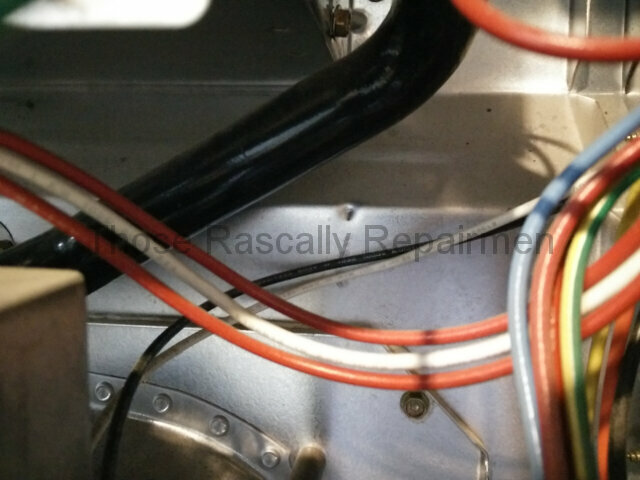 The furnace had a dirty pilot assembly that needed to be cleaned. Majorly Mechanical must have lost their internet connection the day they visited, because their repairman either couldn’t or wouldn’t solve this very basic problem. 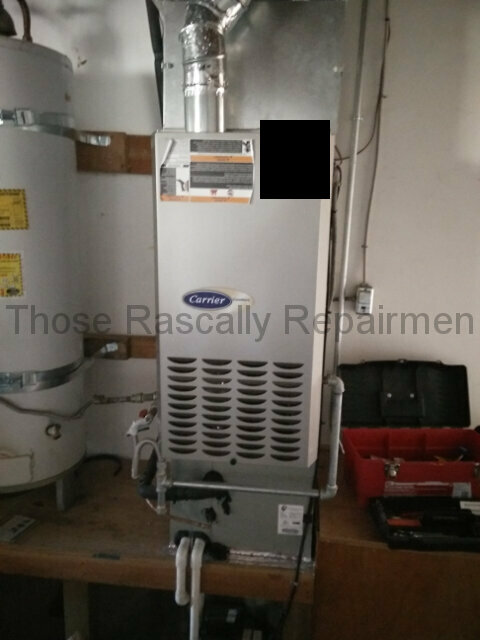 The only solution he offered was to install a new furnace. 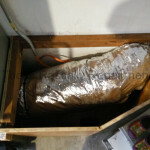 A new furnace was worth considering, but it shouldn’t have been the only option offered by MM – especially when the repair was as simple and as easily found on the internet as it was. Believe it or not, Majorly Mechanical isn’t a minor contractor. They’re major enough to be the local Home Cheapo’s heating and air conditioning partner. That partnership gives MM instant credibility with some homeowners. Even so, I have followed behind them before and will do so again. Thankfully I don’t have to do so in a steam cart. Click here for Update I.
It’s a year later. The pilot is still on and MM is still Home Cheapo’s contractor. Click here for Update II. It’s fifteen months later and, as predicted, I’ve followed behind Majorly Mechanical several more times. This is just one example. 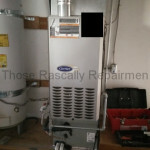 MM moved this furnace from inside the house to the garage. At first glance it doesn’t look too bad. At second glance it does look too bad. 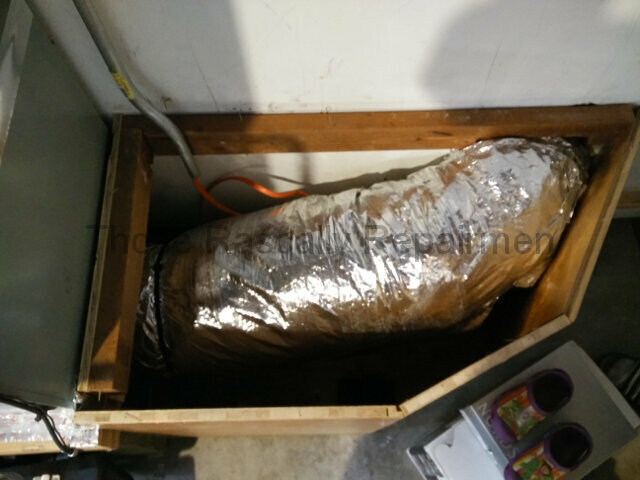 A single 12″ air duct feeds the entire duct system. That’s half of what’s needed. 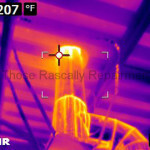 As a result, airflow through the furnace is severely choked and the furnace is overheating. 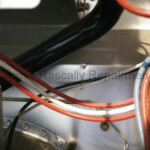 Speaking of overheating, the black and white supply wires were not properly tied down. As a result, the wires’ insulation was starting to burn. They would have eventually shorted to ground and blown the furnace fuse. 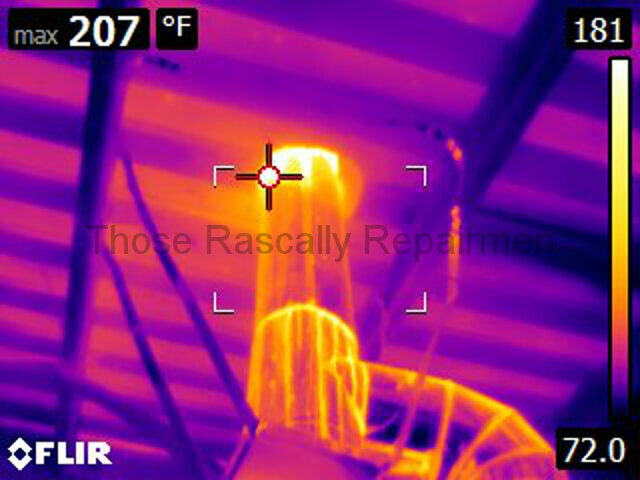 Speaking of speaking of overheating, the furnace’s exhaust vent is comprised entirely of single wall pipe. 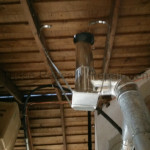 Code requires the top part of the exhaust vent to be comprised of double wall pipe. Double wall pipe is cooler to the touch than single wall pipe. A new roof was installed after the furnace was moved. 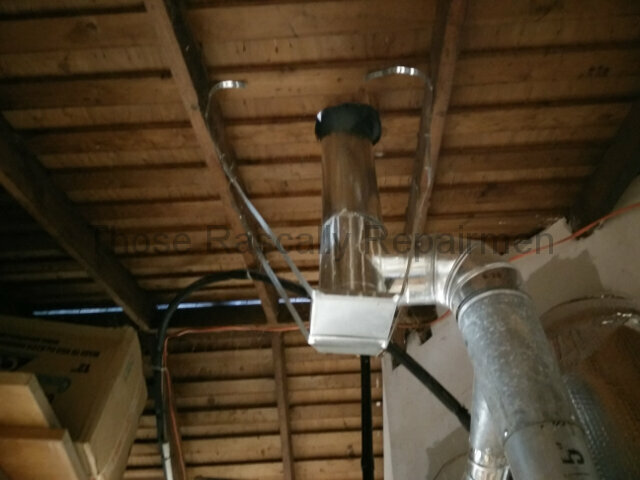 The roofers installed tar paper against the exhaust vent. As you might have guessed, they’re not supposed to do that. So now we have oily tar paper resting against a hot single wall exhaust pipe. You can see that in infrared below. Like the pilot issue, the duct and exhaust vent issues are incredibly basic problems that should’ve never happened in the first place. Or at the very least, they should’ve been found upon final review of the installation. They weren’t found because most repairmen are themselves lost.